The 1st of May is dedicated as May Day (or Labour Day) in Singapore, as a mark of solidarity among workers. As a designated public holiday, Labour Day is meant as a day set aside in honour of workers and their contributions to the country. The annual May Day Rally speech was delivered by Prime Minister Lee Hsien Loong on the May Day morning, at D’Marquee in Downtown East. In his speech, PM Lee referenced the volatility of the global economic climate and provided insight into the local labour market and economic expectations for 2018. 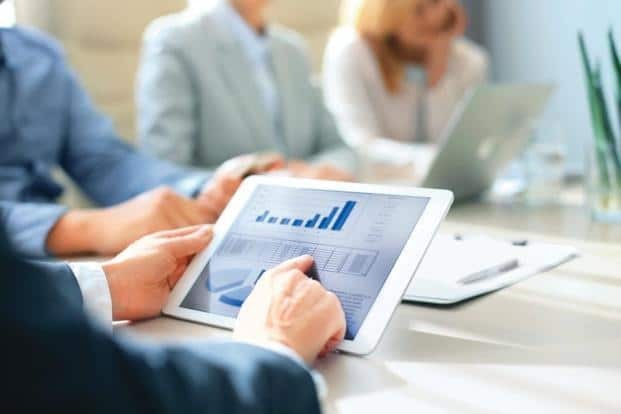 Businesses which are ready to leverage on the opportunities that new technology has to offer will be able to thrive in the new business environment. Local businesses should look ahead and be prepared for these changed. Multi-faceted renewal is also necessary. This message culminated in the closing remarks of the May Day Rally. PM Lee called on the new generation of Singaporeans to renew Singapore by creating new possibilities and frontiers for the country – that is their responsibility for its era. Sustaining the momentum from 2017, economic growth for the whole year of 2018 is forecasted around 1.5% to 3.5%. Optimistically, a growth of no less than 2.5% can be expected. This follows from economic growth performance that exceeded expectations in 2017. 3.6% economic growth was recorded. A huge jump from the 1 to 2% previously forecasted. Productivity growth was also the highest recorded in 7 years, since rebounding from the Global Financial Crisis in 2009 to 2010. What happens in the global environment will impact Singapore’s economy. Brewing tensions between the major economic powers are clouding the global outlook. Citing the example of the US slapping duties on solar panels, steel and aluminum, and the Chinese following likewise on synthetic rubber products, Singapore will likely suffer from the collateral damage of these rising trade tensions. Explaining the consequences of such unilateral behaviour, less respect and compliance to the rules can be expected. After all, why should the smaller players go by the books if even the bigger brothers are not leading the right way? This will result in the international trading system to become “more uncertain, and more risky”. “There will be less trade, there will be less investments.” Mr Lee acknowledged. 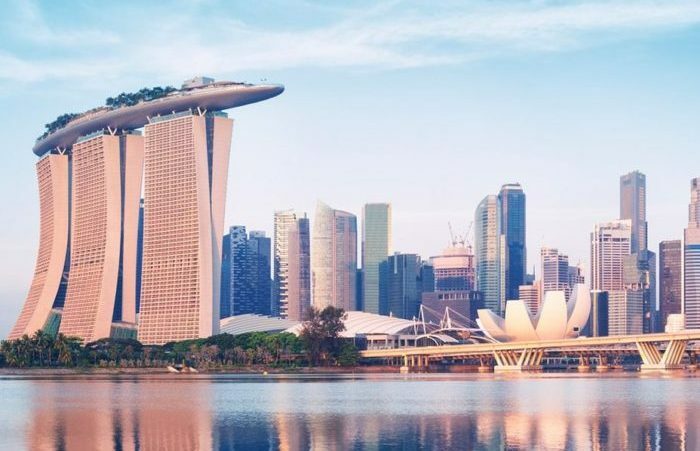 Hence, as more rivalry and suspicion brews between two economic superpowers, it is essential that small countries, like Singapore, maintain a consistent message. As a small country, Singapore is unable to significantly tip the global scales. However, at the very least, Singapore must maintain its credibility with and retain the trust of both sides. The impact of technological disruption cannot be further emphasized. A frequent topic among any economic and labour discussions in recent years, its influence can no longer be ignored. Rather than lament about its pains, it is time for employers and individuals alike to embrace the change. 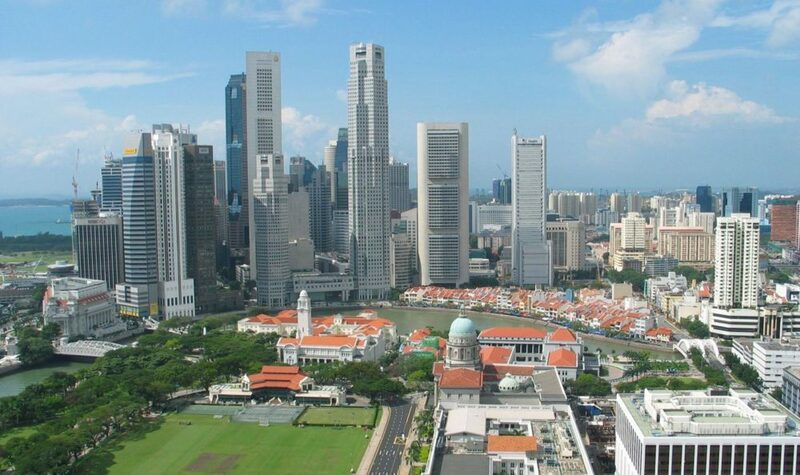 As Singapore’s economy goes through restructuring, the workforce needs to upgrade their skills and businesses need to transform and adapt as well. To create a more resilient and competitive economy, several initiatives to support local small and medium enterprises (SMEs) through this transformation process were launched earlier this year. This includes the Industry Transformation Maps, where each features a detailed skills map to help individuals figure out the sought-after skills and capabilities needed to progress in that particular industry. Zooming in on transport, banking and the retail and logistics industries, Mr Lee illustrated how current strategies, economic restructuring and (re)training of workers have helped to manage the impact of technological disruption. At the end of the day, Mr Lee’s May Day Rally speech brings home this point – that it takes two hands to clap. To stay relevant and competitive in the current economic climate, it is necessary for employers and individuals to do their part to adapt and upgrade accordingly. Openness and receptivity to technology will allow businesses to ride the wave and go further. As small and medium businesses make up 99% of Singapore’s enterprises, employs two-thirds of the workforce and is responsible for about half of Singapore’s Gross Domestic Product, it is necessary for SMEs to heed on this advice and enable themselves for the future. The winds of change have begun to blow. Embrace technology as an enabler and up-skill workers to leverage on new technological capabilities. This will allow businesses improve productivity while staying competitive. JustLogin is a HR software provider specialising in cloud Payroll, Leave and Time & Attendance applications. We help you automate your HR, so you can focus on your people, culture and business. Sign up for a Free Trial now to learn how you can run your HR more efficiently. 5 Ways to Run Payroll More EfficientlyAutomating HR: A Luxury or Must-Have?